I guess it's time to start the new thread. Post at your own risk. If you post a location, your spot will be hunted by someone. Please don't post pics of deer that were not killed in the Sam with out a disclaimer on it. Keep it civil, keep it clean, and have some fun. Figured it was a matter of time before the other thread popped up. Hopefully it ramps up this year, I gots a good feeling about this season. Well I guess we will follow this again 鸞 hope I don’t get in trouble this year. 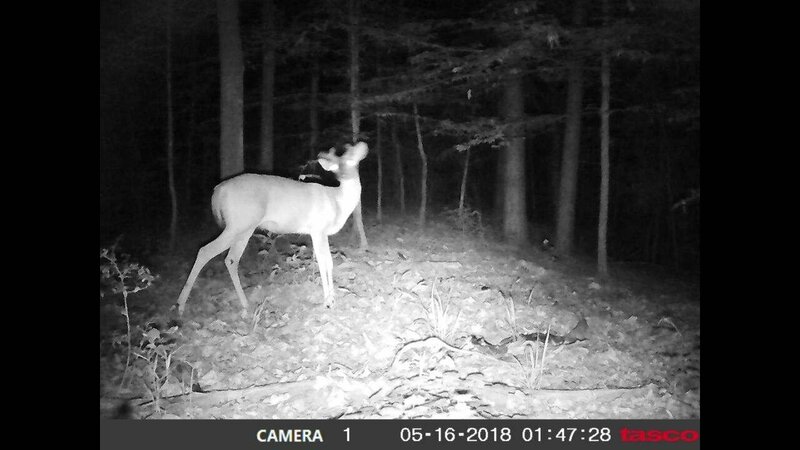 Put a camera out for the first time Saturday in the area I started hunting last year. Hopefully it's there when I go to retrieve it. If you feel unsure about it rig up a locking mechanism and you should be fine. That's what HF did when we set out to the woods yesterday. Well I guess we will follow this again 🤠 hope I don’t get in trouble this year. Whatchu talkin' about, Willis? You ARE the trouble. Did y’all hear about the drowning in lake Conroe this weekend. Sad deal . Dang right. And this year I will get everyone of them. We are back at it in the forest. Won’t make the same mistake as last year. Are you the guy HF brought out to the house? If so have you shot that bow to see if it groups yet? Yes sir I am, thanks again for having me over and helping with the bow. I haven't had the chance to shoot just yet, but after I get home this afternoon I'm gonna shoot it a bit and let you know how it goes! Put 3 cameras out on Sunday. Hopefully pick up some more deer. Checked two cameras our and one is still getting a bunch of pics. If the bucks keep gfrowing like they are already, we are going to have a couple of good bucks. Fingers crossed. I made locks to go around my cameras. I'd like to come back and them actually be there. These shod help. Don't know how long I'll leave them there, but I'm already excited. Man I’m wishing you all the best this coming season. 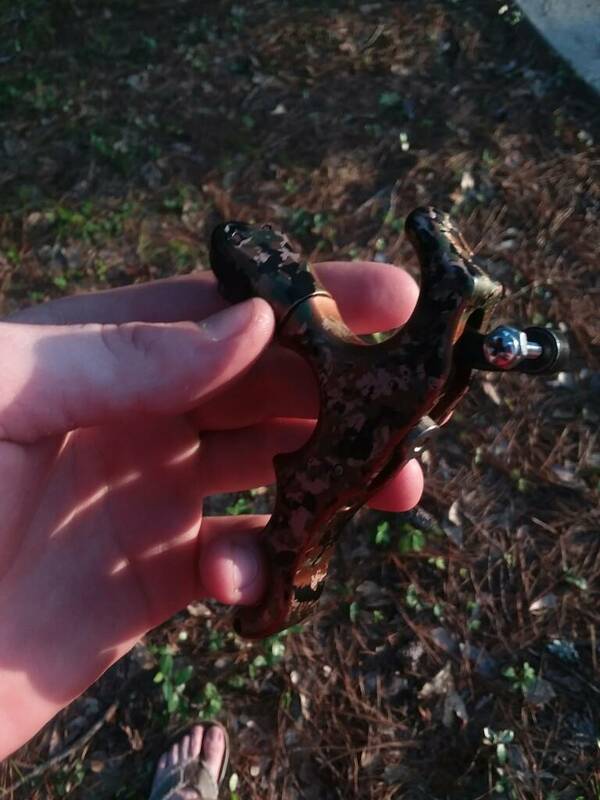 I left some really dandys at the lease last year and got a new stand set working that could be as good as my others. I’m very excited. John, I can't imagine what caliber bucks you could have left. You've got some real studs there for sure. We've got a couple off good looking bucks on camera now. Still growing, so who knows what they will do. I have a feeling that if they will stay in the area, someone is going to kill a good deer. There is a correct way to shoot the release. That might be your issue. Plus your tune was just to get you started and on the plate. How does the bow hold? What’s your float pattern like? All of these can cause issues. And also what is spread out? Be realistic with yourself. You just need to stay in the pie plate. 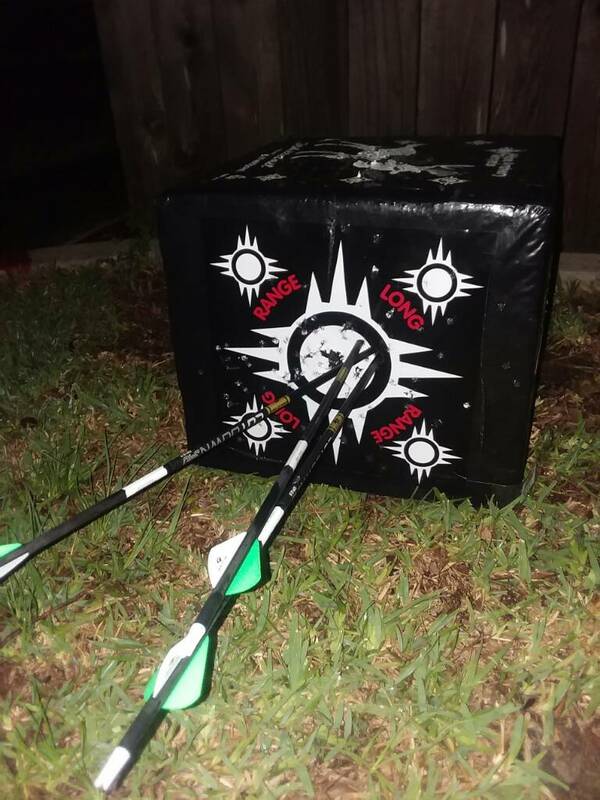 Most people are not touching arrows at thirty yards. It takes lots of practice and a good mental shot to group tight consistently. Your hold is how your pin sits on the target. Your float is how the pin moves around the target. If your float is low and under the target could be you pulling up with your release hand. Fast jittery movement is a sign of a short draw length. Slow and stretched out is a sign of a long draw length. It’s finding the draw length and loop length that keeps you smooth and steady on target. And as for the release shot. It should be a subconscious shot. When it fires it should catch you off guard. Like a surprise at first. That’s when you know your shooting good shots. Focus on aiming. Not the release going off. Sounds like maybe his draw length is too short as it stands now? Que paso amigos?!! Good luck to everyone this year. I am not saying move forward. Just keep practicing. Focus on making good shot. As your shots get better you’re float will get better also. AllRight new thread! Excited for deer season to start up already. I wouldn't get hung up on trying to hit the back wall. I'd focus on where it's comfortable and where you're making good shots. If the bow is set up too long and you feel as though you're trying to stretch to reach the back, then maybe we should shorten your d loop. That way you're able to pull it to the stop and still in a comfortable shooting position. Main thing is to practice. That bow has a draw stop on the cam. So that’s what stops the draw cycle. If it’s like an elite. Pulling hard on it will give it left and rights. I doubt you are creeping. But are more relaxed and letting the bow shoot. 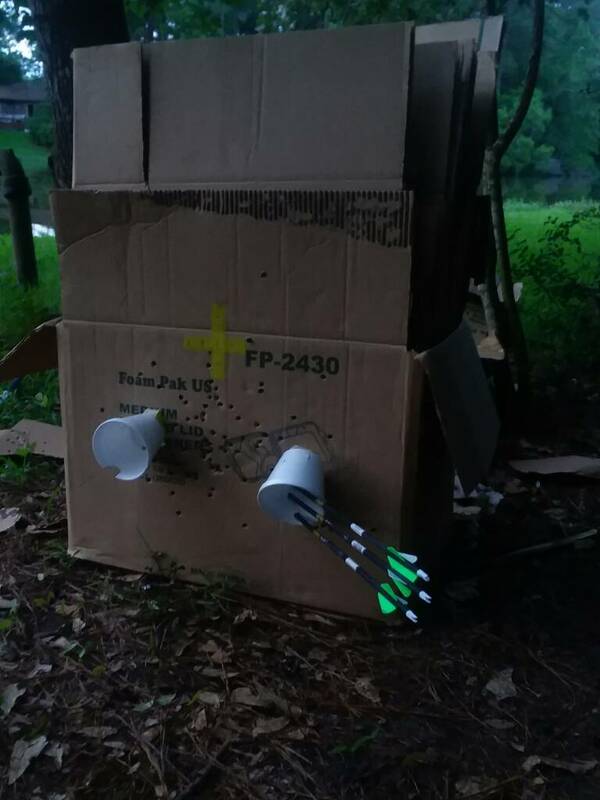 You can adjust that stop and change the holding weight of the bow. If you need to. well Sherry is back at it. Shooting turtles in the head with her bow. I have never seen someone get so much entertainment in shooting turtles. I think what he is saying is that when he draws the bow back he's not hitting the draw stop. He has to stretch to hit the stop. So when he relaxes he isn't against that stop. Thats when he shoots well. When he stretches to the stop, that's when he shoots off. Sorry guys tapatalk wasn't sending me notifications. What I meant is that when I draw my bow back and sit comfortably on the back wall and shoot, I keep shooting low. I've noticed I have to pull harder against the draw stop than I was to get the correct height out of my shots. Dang Dmack, y’all got that many extra arrows? Or you got a string attached? In for another year. I’ve been trying to get out there to scout since March and it hasn’t happened yet. Had two good years and two decent bucks in my last spot before people trampled all over it last year. Time to go even deeper! What you talking about fool? Let me talk slower. 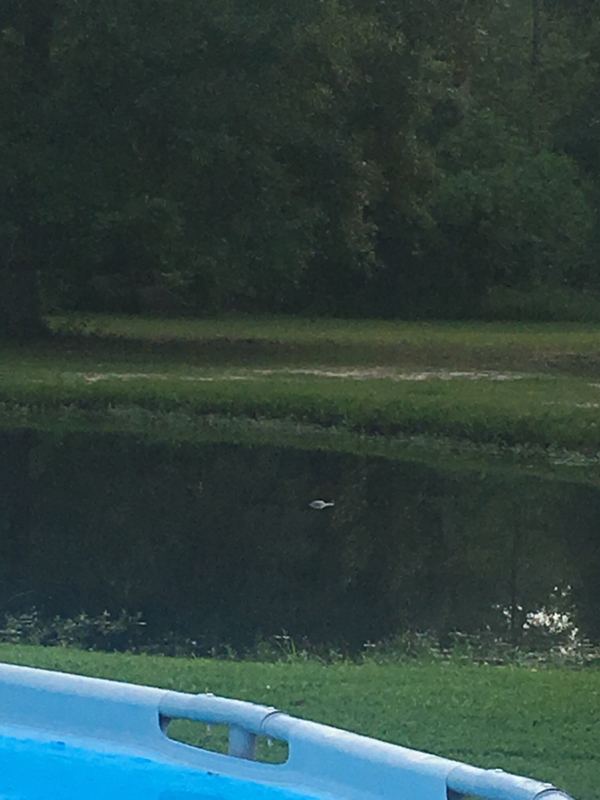 Are you shooting turtles with arrows and leaving them in the pond or swimming out to get them or are you using a bow fishing rig? You said she’s shooting them with her bow. I don’t know how much deeper one get realistically get. Seems like theres a forest service road not more than 500 - 600 yards in any direction. Duh. I thought it said extra bows. No she shoots them with her tournament arrows. They die and float up in three days. And I pull them out and she wash them back off lol. Or throw them away. But we have a tub of arrows to waste on turtles and squirrels in the yard. Anyone been doing any scouting? Anyone got any cameras out? Any pics? Someday. We will head out and scout soon. Kind of getting in the spirit of things lately. Cameras going out this Friday. Scouting has been hit or miss, the woods are thick where I've been scouting compared to where I hunt in Mississippi. Been out in the river bottoms. Not seeing much of anything right now. I've had mine out for a couple of weeks and have had cheif's out for over a month. Got bucks with antlers growing. Should be a good season. All caught up on the new thread, looks like y'all are getting the equipment lined out and the trail cams hung! I had a good conversation with NF today, it was good to hear from him! HF and Chief have been hard at work with the scouting already and it sounds like they are getting dialed in. DMack and Sherry--sound like yall are still the sharp shooters yall always were! Lee-- looks like the furniture moving has begun! I know y'all are excited! To all my other buds on here....big wave! Wishing y'all all the luck in the world this season! I will be following along and participating when I can, but I'm not really certain how my upcoming season will pan out just yet. I will just have to see what these feet (and the law) will allow me to do. Yes sir, it has begun. Last move for quite a while. Back to Conroe. Gotta get away from these meth heads and bad schools. No time for scouting on my end yet but I’m taking Kaden on another ram hunt first week of August if anyone wants to go. Last one for the year. Glad to hear y’all seeing bucks Damian. I got a bigger freezer yesterday so I’ve got room for more animals now. Good to hear from y'all. Lee my oldest son is named Caden also. Good for you guys scouting already hope you get some cool pictures. What's up? How ya been? Glad to see you!